ellenfennick.com: "Every child deserves a special education,"
"Every child deserves a special education,"
Ellen Fennick Ph.D. recently retired from her work as a disability education consultant and educator with over 30 years of experience. She is also an expert regarding the special education process and related issues that can frustrate or overwhelm students and their parents. When working on behalf of her student clients, Dr. Fennick provides hands-on, sensitive guidance while creating a custom educational plan unique to each child or teenager. 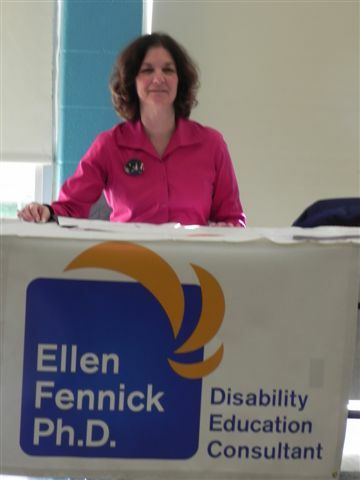 Dr. Fennick’s professional background includes 20 years as a certified special education teacher for grades K-12, and 12 years as a college professor of teacher education programs at both the graduate and undergraduate level. Her practical experience and public school administrative knowledge make her an effective problem solver regarding educational planning strategies, special education procedures, and tactics for transitioning to adult life. On a more personal level, Dr. Fennick is the mother of two adult children who thrived in public school, and is also a grandmother. She transitioned from a teaching career to disability consulting after many years of helping friends and relatives navigate their children through the public school system. Her research has been published in Teaching Exceptional Children and Teacher Education and Special Education, as well as in other professional journals. More of Dr. Fennick’s published reports are available at ERIC (Education Resources Information Center).